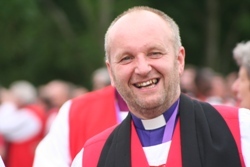 The Bishop of Connor, the Rt Rev Alan Abernethy, will deliver three talks on the topic of ‘God’s Mission and the Church today’ for his Lent series 2018. 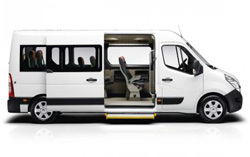 Clergy, youth workers, children’s workers, and others who are employed by parishes are no longer allowed to drive a minibus for the church without passing a test for a D1 licence. 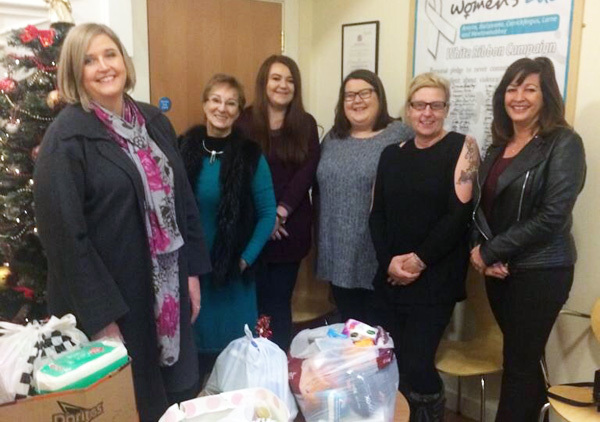 Sarah Simpson and Anne Bell from Portglenone Parish visited the Woman’s Aid shelter in Ballymena and handed over much need toiletries in time for Christmas. Mild and dry for Black Santa Sit-out – so far! 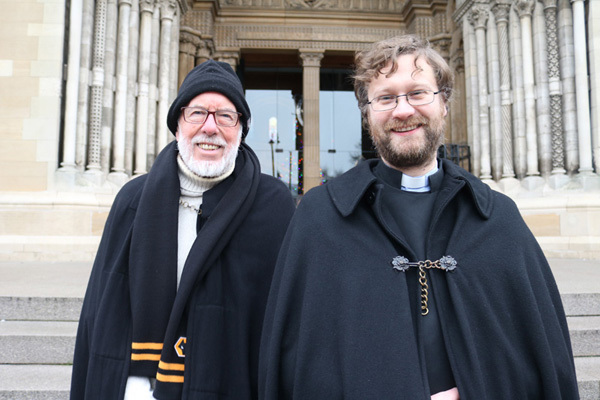 The 41st Black Santa Sit-out, launched on December 18, is well underway on the steps of St Anne’s Cathedral, and continues until around 6pm on Saturday December 23. 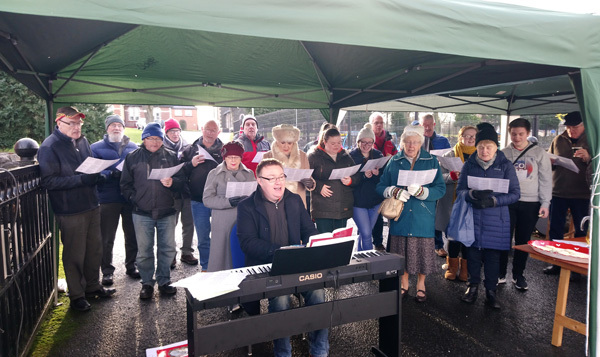 There was a festive atmosphere outside Christ Church, Lisburn, on Saturday December 16 as the church held Carols at the Gate for the fourth year. 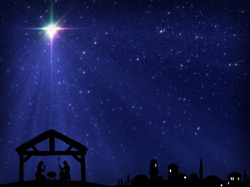 St Matthew’s Parish, Shankill, heard the Christmas Story in nine readings and carols on Sunday, December 17. 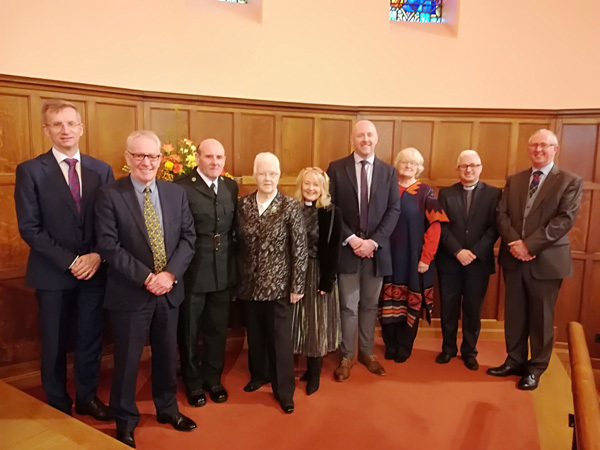 A real cracker of an event at St Michael’s! 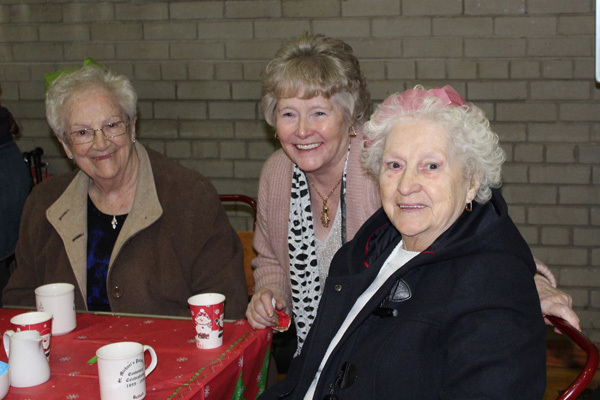 St Michael’s Parish, part of the Lower Shankill group, organised a Christmas Cracker Party for senior citizens, and great fun was had by all. 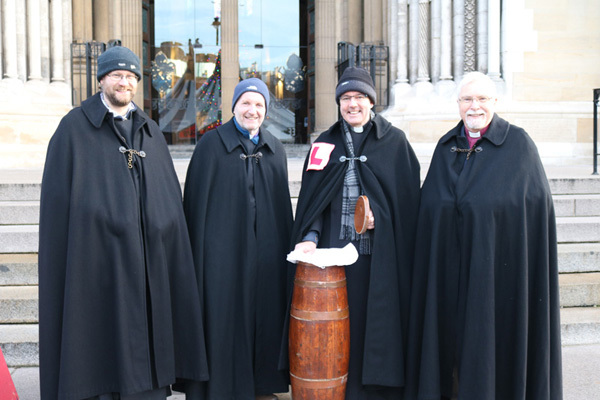 Bishops Alan Abernethy (Connor) and Harold Miller (Down and Dromore) joined Dean-Elect Archdeacon Stephen Forde and Dean’s Vicar Canon Mark Niblock for the launch of the Black Santa Sit-out on the steps of Belfast Cathedral on Monday December 18. 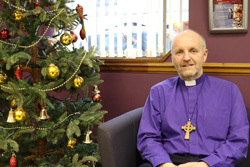 A Christmas Message from the Bishop of Connor, the Rt Rev Alan Abernethy.